Ian Rankin’s Rebus novels have dominated the detective fiction market with the ensuing television and radio series ensuring the detective’s legendary status. 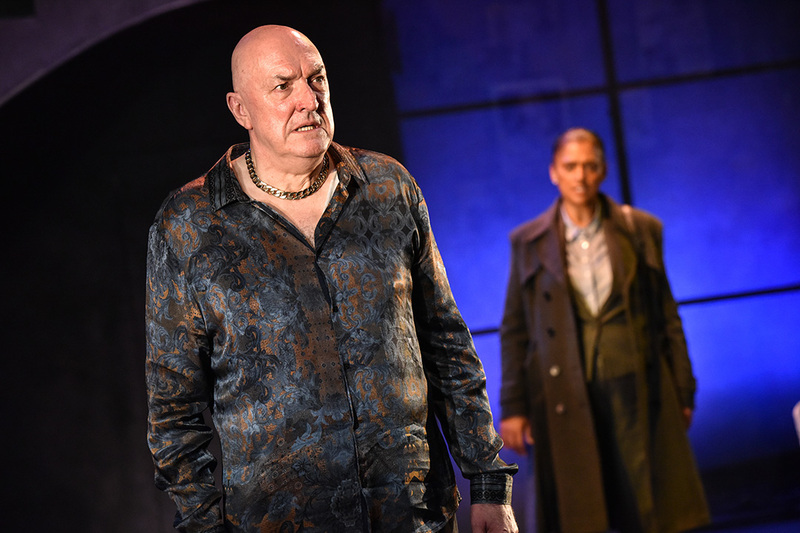 Now, alongside award-winning playwright Rona Munro, Ian Rankin is bringing his beloved creation to the stage for the very first time. 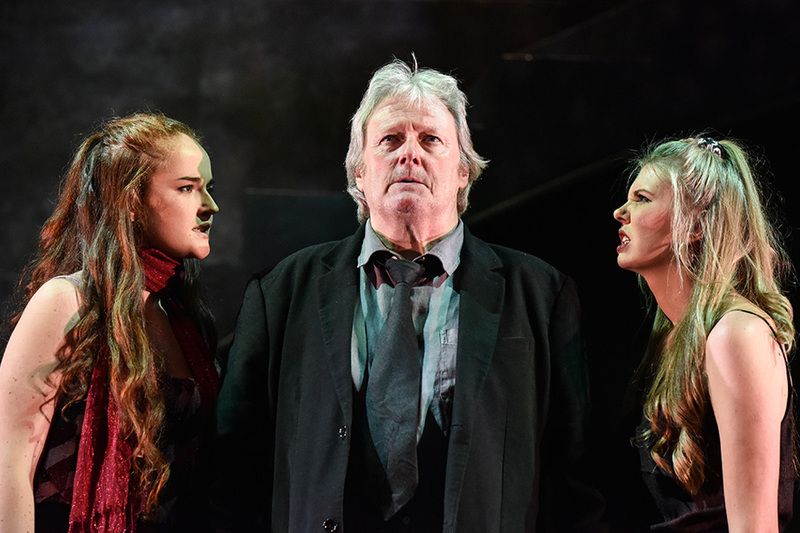 In the role of John Rebus, the cast is led by Charles Lawson best known to TV audiences as the iconic character of Jim McDonald in Coronation Street, which he has played since 1989. The cast also includes Golden Globe and BAFTA nominated actress Cathy Tyson who starred opposite Bob Hoskins in the iconic film Mona Lisa and appeared in the hit TV series Band of Gold as Siobhan Clarke and theatre and TV stalwart John Stahl, best known for playing Richard Karstark in Game of Thrones, as Big Ger Cafferty. 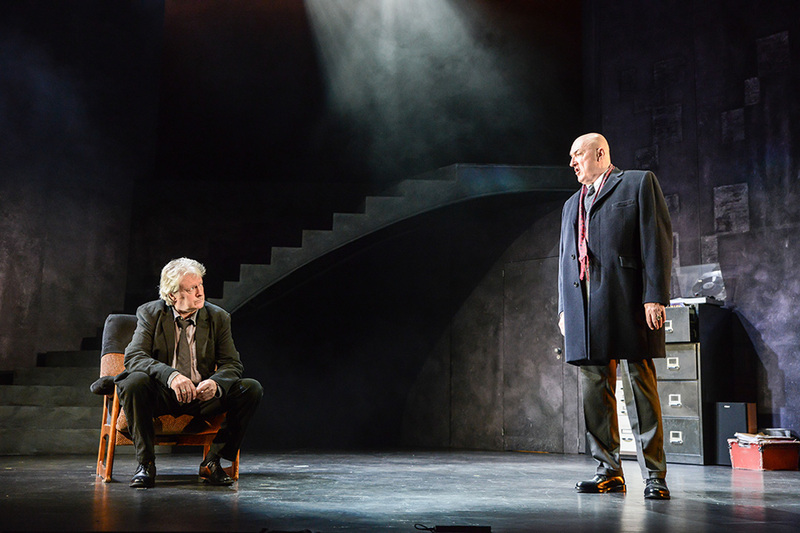 Ian Rankin's Rebus novels have been adapted for television in the past with John Hannah and Ken Stott taking the leading role in STV's version but Rebus: Long Shadows breaks that mould as it has been written specifically for the stage and stars an Irishman in the main role. 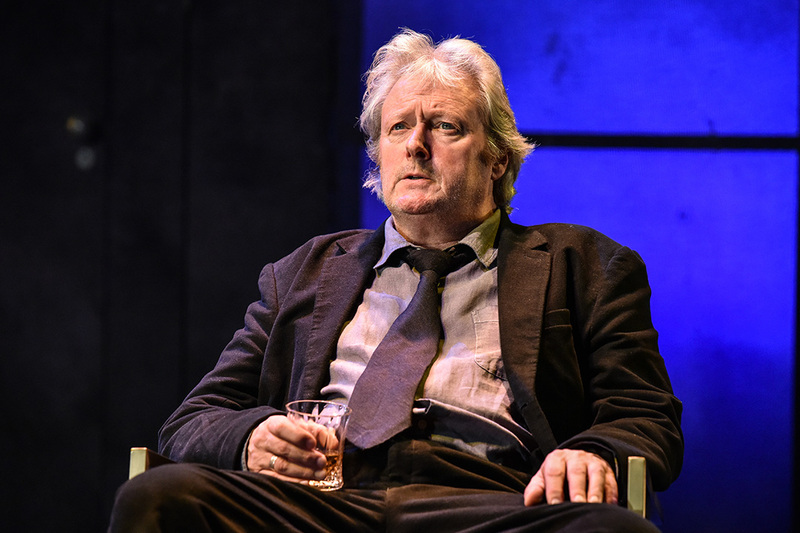 Charles Lawson, most famously Jim McDonald from Coronation Street, takes the part of the retired Edinburgh cop and is, no doubt, glad to be back on stage after falling ill last week and missing a couple of performances. 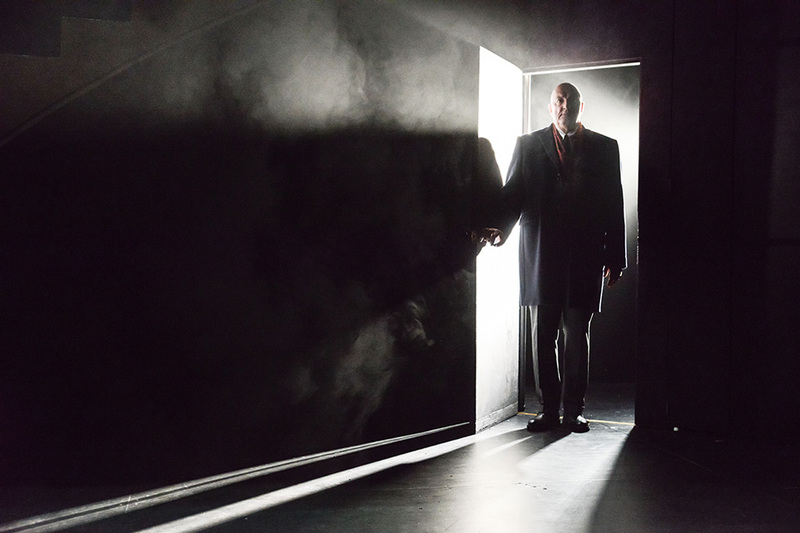 On opening night in Malvern, he was back on form as the ex-whisky-loving ex-cop who cannot get away from his former career - however much others would like him to - when a random meeting brings back into focus a case where he failed the victim's family by not catching the culprit. 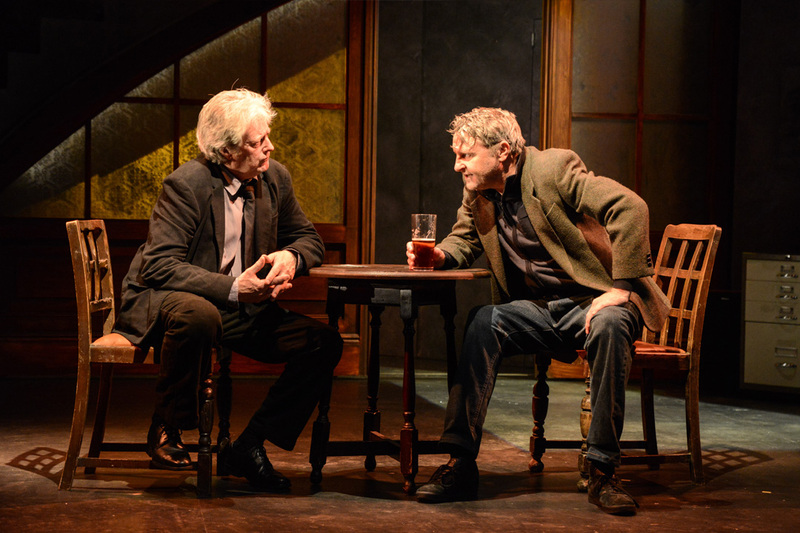 On a stage which is initially as bleak as you image the underbelly of Edinburgh to be and with haunting music to match (the sort that accompanies the equally bleak Shetland tv series), Rebus is still in touch with his former colleague - and greatest ally - DI Siobhan Clarke (Cathy Tyson) and soon he is having to deal with not one but two cases and ultimately there is only one person who can help him - "Big Ger" Cafferty (John Stahl), the man he spent his career trying to arrest. The stage is later converted into various other locations such as a club and an apartment for Cafferty and his expensive collection of fine wines, which demonstrate how well crime pays. Pity Neil McKinven though - in addition to him playing 5 characters in the play, he is also understudy for Lawson and so had to step into that role for the performances where he was unable to attend! The other cast members - Dani Heron and Eleanor House - play characters which are both related to the previous crimes and throughout the play are teasing and criticising Rebus as he attempts some kind of resolution and closure. 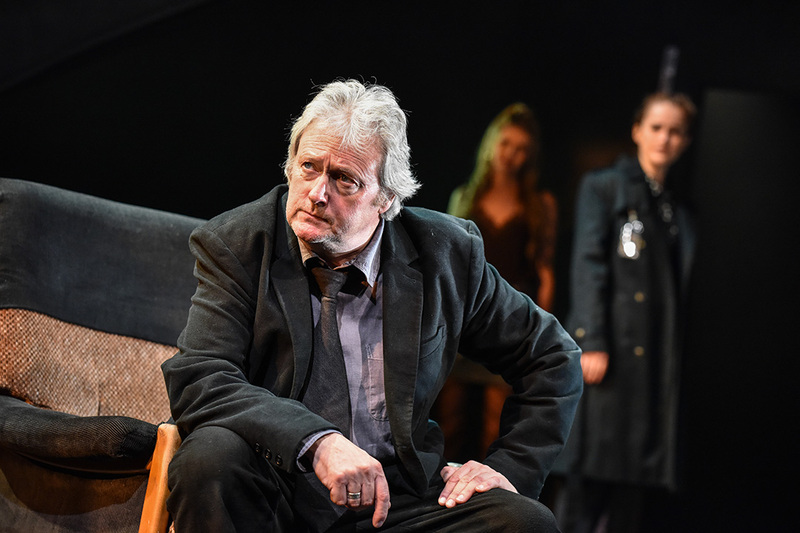 For those who are one of the enthusiasts for the stories of the Edinburgh detective John Rebus created by Ian Rankin, this play will be an essential pilgrimage. For myself having never read any of the many novels this baptism of his works and of his first made into a play was a compelling introduction. The mystery begins with the Programme which studiously omits any mention of the plot of the play, yet usefully explains the origins of police detection. 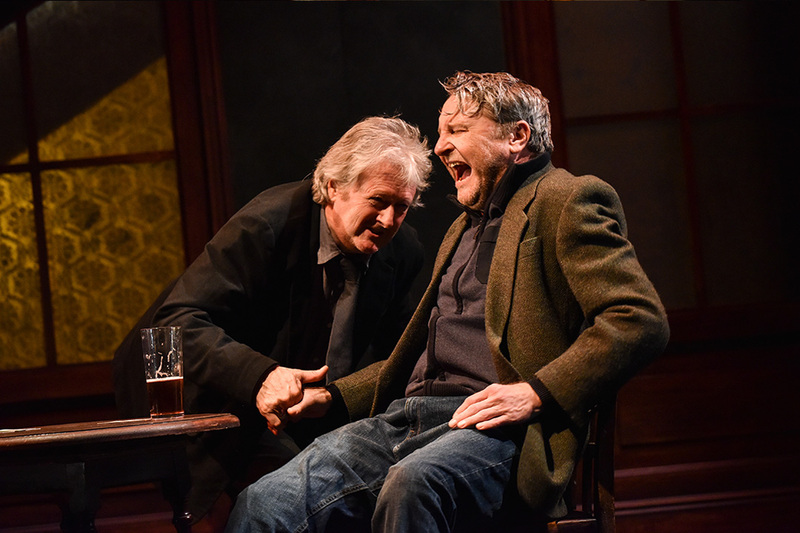 The play opens with a veritable outpouring of emotions which will run throughout the play, and which ebb and flow as the scenes evolve. Enthusiasts will apparently be familiar with the character of Rebus the detective now in retirement but fretting over distant unresolved cases which cast ‘the long shadows’. They will also know of the criminal character Cafferty who flaunts his wealth and arrogance as he taunts his adversary Rebus over their career differences by pontificating on his crime management tactics. 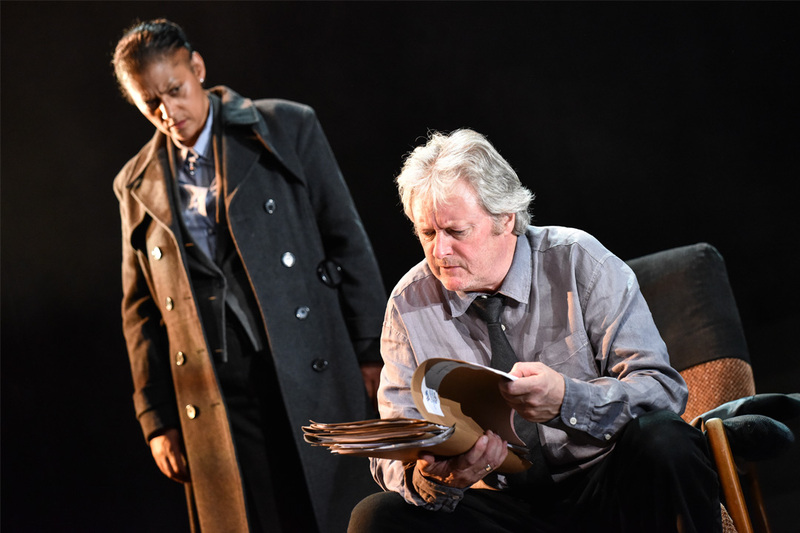 The manoeuvres of these two characters in perpetual jousting are confusing the dedicated active D.I Clarke by their own private battles as she struggles to process her professional workload with due diligence. What must be omitted from this review is the plot, save to reveal that there is a twist to the main plot and many twists by the sub plots which are only apparent as the explanations unfold in the final scenes. 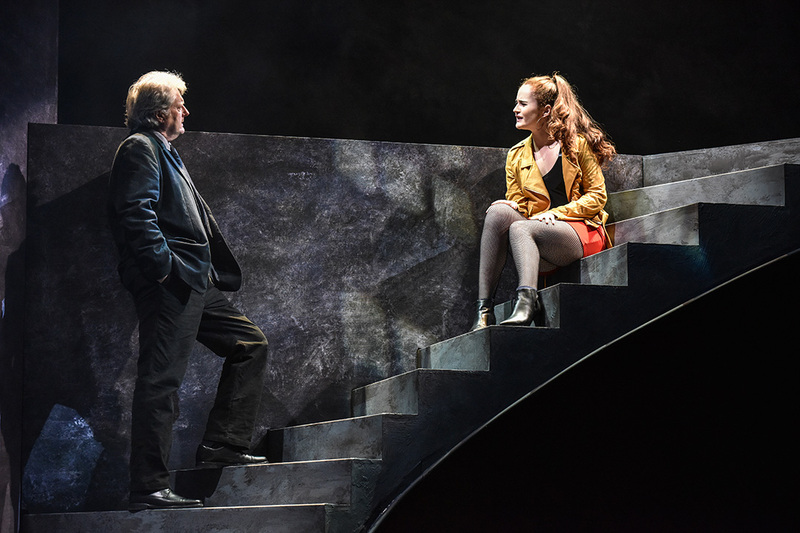 What cannot be omitted is the tribute to the cast for their several talented performances in delivering a series of scenarios in a tight dialogue which provide the texts of the interlocking features building towards a crescendo. The warm and generous applause indicated the respect for their acting. 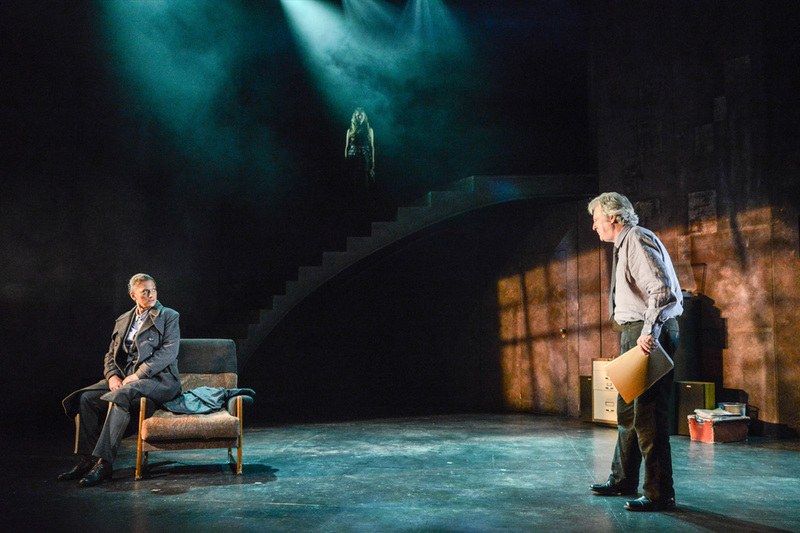 The stage set is made sparse and provides a grey atmosphere which allows the conversations between the characters to dominate the production. This play version of the Rebus tales deserves to succeed as variation to the traditional novels of this prolific author as it allows the committed and the curious to observe his writing craft unfold in an entertaining and plausible style as a duet of occupiers of the criminal environment compete for supremacy. 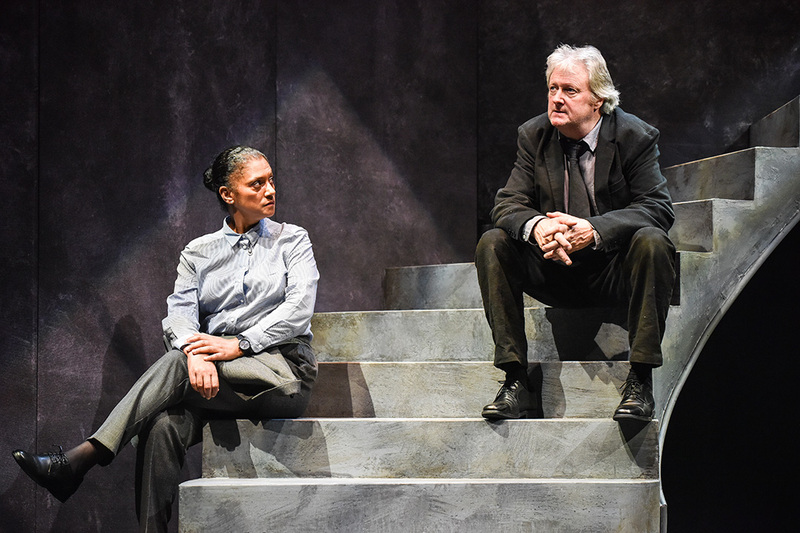 REBUS Last night Beautifully portrayed by CHARLES LAWSON .with strong support from JOHN STAHL as Big Ger Cafferty and CATHY TYSON as D.I. 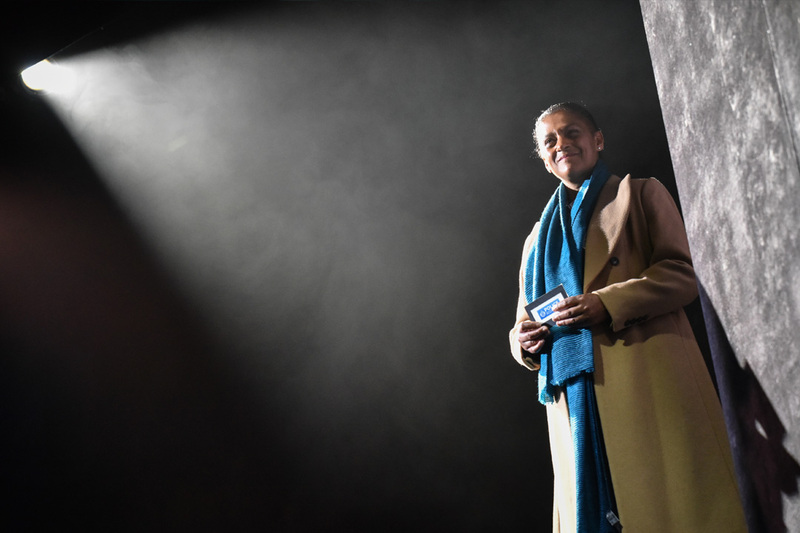 Siobhan Clarke ,This production rode along wonderfully and to add to this a the sparce but very convincing backdrop or Edinburgh in a very mysterious light . Perfect casting. We thought Rebus would be great as a tv Rebus. And Big Ger was fantastic - just as you see him in your head when reading the books. The plot drew from the books in a way that made this feel like the obvious next chapter. Good flow and good conclusion. We are not regular theatre goers, but had a thoroughly enjoyable couple of hours.